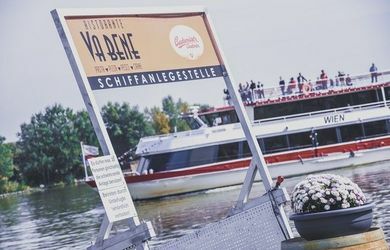 The Restaurant Vabene is located directly at the Danube and offers a capacity as an event venue space for events up to 400 people. The Goesserhalle, as an event venue, offers 8 function rooms, altogether 5000qm, for 1000 people in the largest room. The event venue is situated in the center of Vienna, directly at the central station. 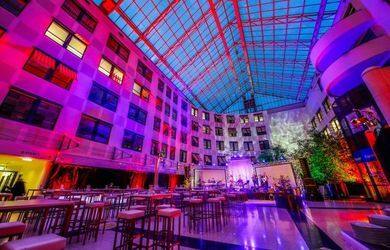 The NH Vienna Airport Conference Center, as a conference hotel, offers 21 function rooms, altogether 2000qm, for 550 people in the largest room. The conference venue has 499 rooms and is situated directly at the Vienna International Airport. 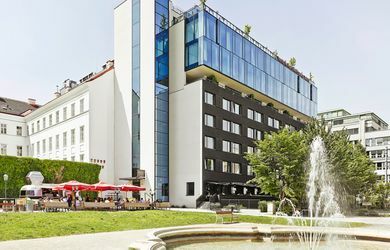 The 25hours Hotel at the MuseumsQuartier, as a conference hotel, has 4 conference rooms, altogether 700m ², for 95 people in the largest room. 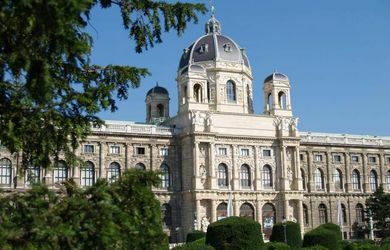 The conference venue has 217 rooms and is situated in the 7th district of Vienna at the MuseumsQuartier. The event venue Art for Art offers 2 conference rooms totaling 2283m ² / 290 or 580 people. The event venue is located in the 3rd district of Vienna at Arsenal. The event venue Wiener Börsensäle offers 4 function rooms totaling 1020m ² / 360 people in the largest room. The event venue is located in the 1st district of Vienna. The event venue Palais Ferstel offers 4 function rooms totaling 923m ² / 420 people in the largest room. The event venue is located in the 1st district of Vienna. The Thirtyfive, the highest event venue in Vienna, a meeting space for up to 400 people is located on the 35th floor of the Vienna Twin Towers and furthermore offers optimal facilities for conferences up to 486 people in up to 10 movie theaters! 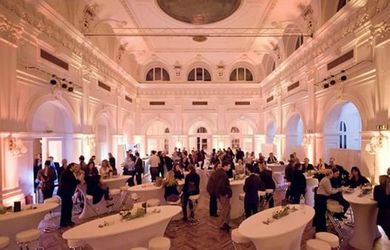 The event venue Albertina offers 10 function rooms totaling 1300m ² / 170 people in the largest room. 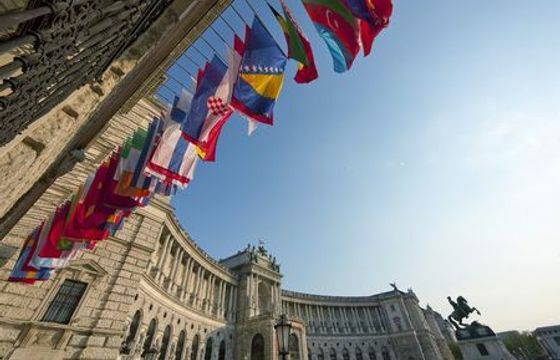 The event venue is located in the 1st district of Vienna, next to the Vienna State Opera. The event venue Museum of Natural History offers 7 meeting rooms with a total 1450m² / 300 people in the largest room. The event venue is located in the center of Vienna. 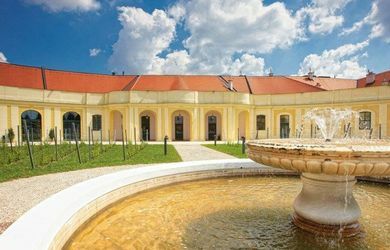 The event venue Schloss Schoenbrunn Meetings & Events offers 10 function rooms totaling 2,700sqm / 200 people in the largest room. The event venue is located on the extensive grounds of palace Schoenbrunn in Vienna. The event venue Tirolergarten offers 1 meeting room on 124sqm / 80 people in the largest room. 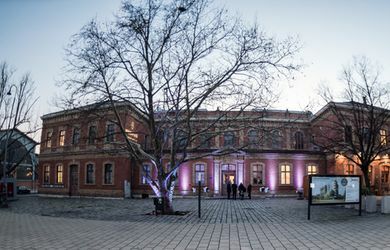 The event venue is located in the 13th district of Vienna, at Schoenbrunn Castle & Zoo. The event venue ORANG.erie offers 1 meeting room on 333sqm / 300 people in the largest room. The event venue is located in the 13th district of Vienna, at Schoenbrunn Castle & Zoo. The event venue Casino Baumgarten offers 3 function rooms on a total of 440m² for 250 people in the largest room. The event venue is located in the 14th district of Vienna. 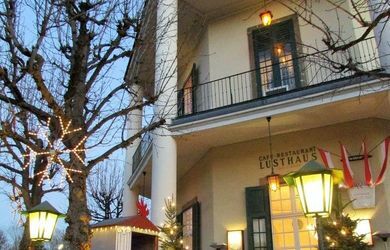 The Lusthaus Vienna as an event venue offers 2 meeting rooms totaling 410m² / 100 people in the largest room. The event venue is located in the 2nd district, next to the racecourse Freudenau. 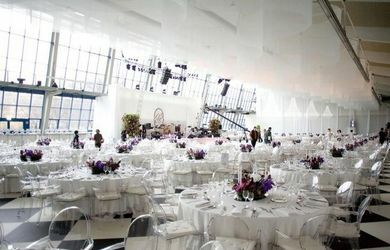 The event venue platinum vienna offers an Atrium + Gallery on total 1600sqm / 650 people in the largest room. The event venue is centrally located on the Danube Canal in 2nd district of Vienna. The event venue Spanish Riding School offers 5 function rooms on a total of 2134m² / 600 people in the largest room. The event venue is located in Vienna amidst the 1.Bezirks. 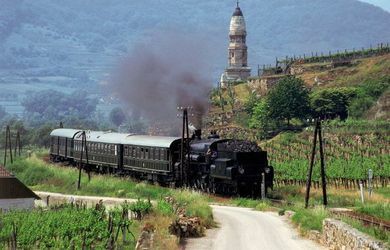 Enjoy a journey in a palace on wheels! The Hotel & Palais Strudlhof, as a conference hotel, has 13 conference rooms, altogether 800m ², for 220 people in the largest room. 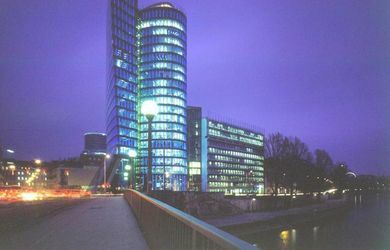 The conference venue has 81 rooms and is situated in the 9th district of Vienna. 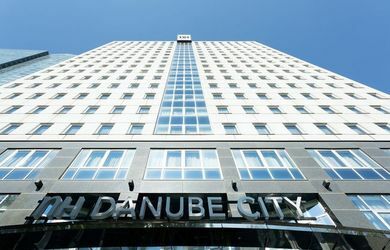 The NH Danube City Hotel, as a conference hotel, offers 10 conference rooms, altogether 750qm, for 450 people in the largest room. 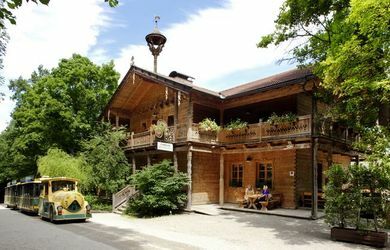 The conference venue has 252 rooms and is situated in the 22nd district of Vienna. The event venue Stadtpalais Liechtenstein offers 6 function rooms with a total 905sqm / 200 people in the largest room and a 520sqm courtyard. The event venue is located in the city center of Vienna. 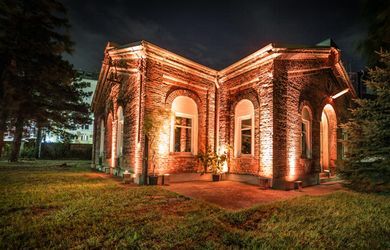 The event venue Kaiserpavillon offers 1 meeting room on 90sqm / 80 people in the largest room. 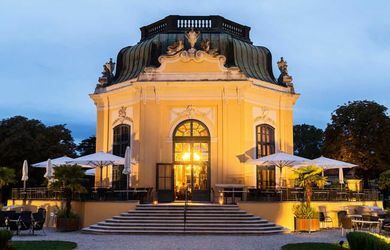 The event venue is located in the 13th district of Vienna, at Schoenbrunn Castle & Zoo. 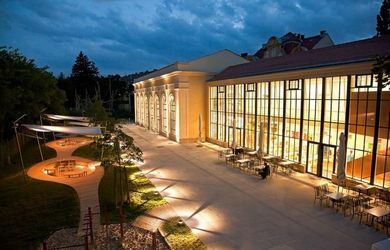 The event venue Patio Vienna offers 1 function room for a total of 1200m ² / 400 people. The event venue is located in Vienna's 2nd district directly at Handelskai. The Ritz-Carlton, Vienna ***** Sup. 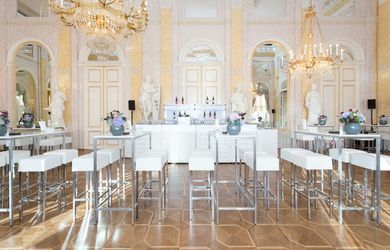 The Ritz-Carlton Vienna as a conference venue offers 7 function rooms totaling 900m ², for 240 people in the largest room. 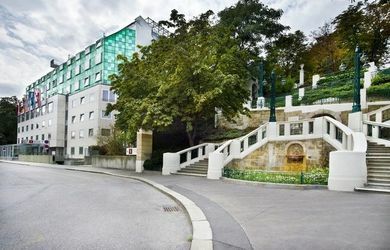 The conference hotel has 202 rooms and is located in the 1st district of Vienna.